The Oaks Maestri Towers is centrally located on the corner of Sussex and Bathurst Streets of the Sydney's CBD. Popular attractions of the city, such as Queen Victoria Building, Sydney Convention and Exhibition Centre are within easy reach from the property. Oaks Maestri Towers features well appointed studio, 1 and 2 bedroom apartments with colour TV air conditioning and private bathroom. The hotel offers a convenient location, as well as contemporary architecture. Facilities on offer to guests include a lobby area with 24-hour reception, lift access and parking for those arriving by car. Each unit has a well-equipped kitchen, where delicious dishes can be prepared of one choice. Nearby restaurants can also be visited for a fine dining experience. 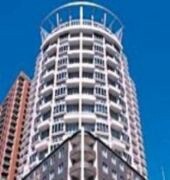 Oaks Maestri Towers Sydney offers tour booking service. Recreational facilities at this property include a swimming pool and sauna. Visitors can explore the nearby Pyrmont Bridge or can enjoy shopping at the famous Pitt Street Mall. The Oaks Maestri Towers. is a Tourist hotel. Located in City Centre area. Shopping is accessible by bus/taxi and the nightlife/restaurants are located in the hotel. Facilities at oaks maestri towers. Policies of oaks maestri towers. Descriptionclass="small" style="text-align: justify; font-size:11px;">The Oaks Maestri Towers is centrally located on the corner of Sussex and Bathurst Streets of the Sydney's CBD. Popular attractions of the city, such as Queen Victoria Building, Sydney Convention and Exhibition Centre are within easy reach from the property. Oaks Maestri Towers features well appointed studio, 1 and 2 bedroom apartments with colour TV air conditioning and private bathroom. 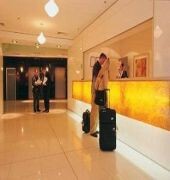 The hotel offers a convenient location, as well as contemporary architecture. Facilities on offer to guests include a lobby area with 24-hour reception, lift access and parking for those arriving by car. Each unit has a well-equipped kitchen, where delicious dishes can be prepared of one choice. Nearby restaurants can also be visited for a fine dining experience. 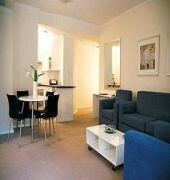 Oaks Maestri Towers Sydney offers tour booking service. 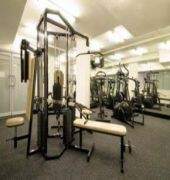 Recreational facilities at this property include a swimming pool and sauna. Visitors can explore the nearby Pyrmont Bridge or can enjoy shopping at the famous Pitt Street Mall.